On 14 January the pro-Kremlin media claimed that Russia is not a party to the conflict in Ukraine because there is a “civil war” there. They also said that there have never been and are no Russian armed forces in southern and eastern Ukraine. Sadly this would only be true if pro-Kremlin media were able to build a time-traveling machine and used it extensively. The pro-Kremlin media has long been slandering the Baltic Forest Brothers as Nazi collaborators, in attempts to discredit the Baltic States’ independence struggle and whitewash the history of Soviet occupation. This year the rhetoric was updated to reflect more current trends, as the Forest Brothers were also labeled as terrorists. Last but not least – a laboratory in Georgia has for some time been in the epicenter of outright conspiracy theories. 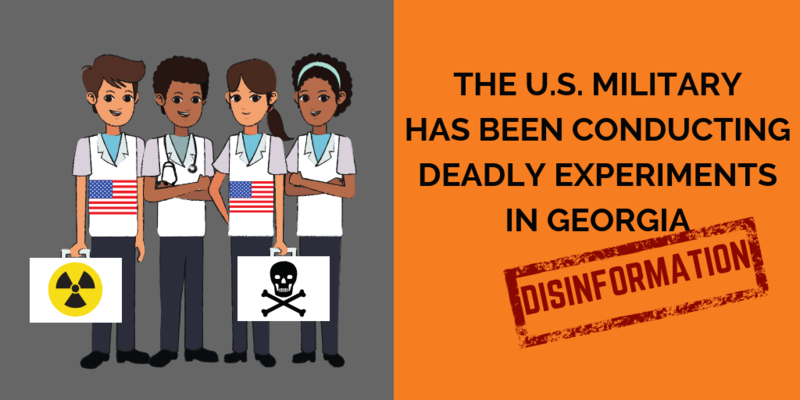 This week there were claims – without any evidence to support them – that biologists from a U.S. military medical group and some private contractors could have performed secret experiments on Georgians and that nearly 100 people died after a free Hepatitis C elimination program did not go as planned. In reality, the laboratory facility is part of the National Center for Disease Control and Public Health (NCDC), which became operational in August 2013. The Lugar Center is a top-tiered institution in the NCDC’s laboratory network and serves as a reference laboratory for Georgia’s public health system.